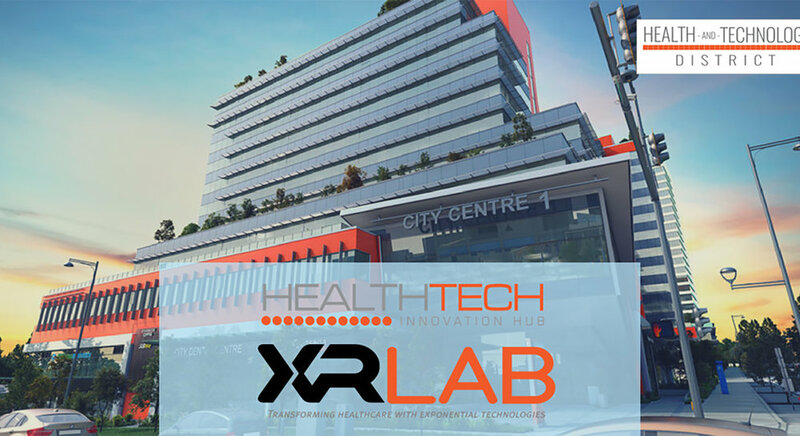 Surrey, BC – May X, 2018 – The Health and Technology District, together with Conquer Experience and Stambol Studios, are launching a new XR LAB, a demo studio leveraging mixed realities and other emerging exponential technologies to inspire future healthcare collaborations. Located within the District’s HealthTech Innovation HUB in Surrey, the new dedicated XR LAB offers a fully equipped virtual reality workspace where companies can get access to mixed reality demo opportunities, shared spaces and facilities, workshops and programs and a whole suite of business services as part of the HealthTech Innovation HUB’s amenity offerings. Users of the XR LAB have the opportunity to co-locate with innovative thought leaders at the District, to built and inspire creative health and wellness collaborations and encourage the cross-pollination of forward-thinking ideas that bring real world healthcare solutions to patients everywhere. Building upon Conquer Experience and Stambol Studios’ BC-built virtual reality successes, the XR LAB attracts businesses, entrepreneurs and emerging start-ups to use the highly specialized equipment within the LAB to build mixed realities in the areas of health and wellness and beyond as BC builds and commercializes disruptive global solutions in health. The XR LAB complements the Health and Technology District’s unique ecosystem that supports the collaboration, experimentation and innovation in health and wellness experiences that will have profound impacts in the future of health care services, delivery, training and most importantly, experiences. Technologies from the XR LAB will be showcased at the Health and Technology District’s booth at the upcoming BCTECH Summit taking place May 14-16 at the Vancouver Convention Centre. Conquer Experience (www.conquerexperience.com) is a digital simulation company focused on delivering ‘Education as an Experience’™. With deep expertise in UX, VR and simulation gaming, the company has created the Experience Platform™ that brings learning to life. Our award winning product PeriopSim (www.periopsim.com) is built on the Experience Platform, available on the iPad, HTC VIVE and Windows Mixed Reality headset and has been used in over 200 North American Hospitals, saving dollars and improving patient safety from day one. PeriopSim is the subject of the top ranking international peer reviewed academic research paper on BMC Medical Education. PeriopSim (www.periopsim.com) is an award-winning digital simulation training solution for clinicians who need to learn surgical instruments, passing technique, sharps safety, sterile technique and procedures. The product enables surgical staff to practice safely before surgery. PeriopSim was part of an 18-month pilot program with the Association of Perioperative Nurses (AORN).